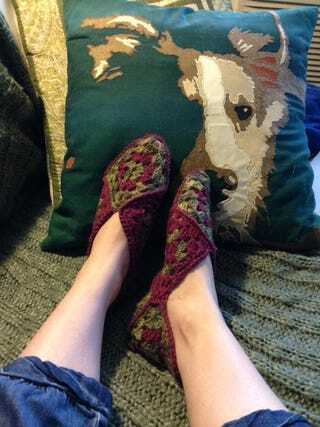 Look at my new slippers! Now I'm impatiently awaiting the delivery of my afghan yarn so I can get to it instead of studying for a different class! P.S. My mom made that pillow. That's my dog!